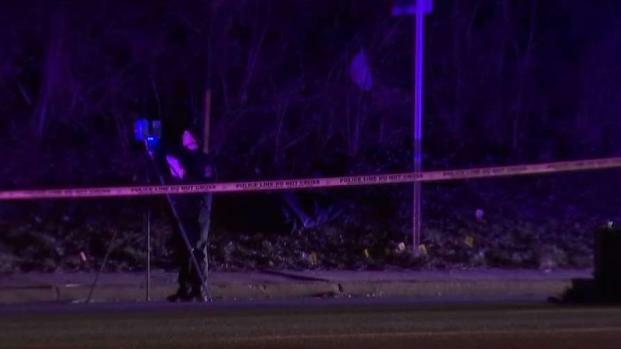 Someone discovered a man's body wrapped in what appeared to be a plastic tarp or bag at a Metro bus stop on Old Georgetown Road in Bethesda, Maryland, police say. Montgomery County police said they received the call about 5:30 p.m. Monday about the body along the side of Old Georgetown Road near the Lone Oak Drive intersection. A woman who works nearby discovered the body and called 911. "It was a black tarp or bag of some sort; it was some type of covering," she said. "And it had the drawstring on it and it was kind of open, so that's when I pulled it back and I saw the two legs." 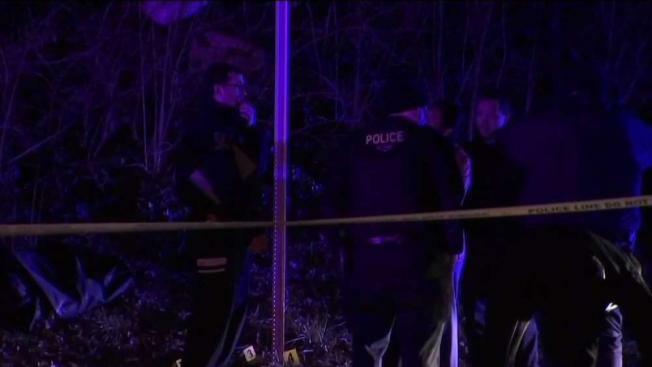 Someone found a body wrapped in a plastic tarp or bag along Old Georgetown Road in Bethesda, Maryland, police say. News4's Jackie Bensen reports. She said the body was in the fetal position with the legs bent at the knees. "I was terrified at first," she said. "It's not something that you want to see, but I stayed as calm as I could and I knew that I needed to call the police." Homicide detectives and crime scene investigators responded to the scene and collected potential evidence. They did not open the bag or examine the body at the scene because it was windy and they wanted to preserve the evidence. The medical examiner determined the death was a homicide. Detectives do not believe the man was killed at the bus stop where his body was found. "It is an unusual place," Montgomery County police Capt. Tom Jordan said. "That's why we're hoping — because of the number of people that traverse that area — we're hoping someone saw something and can give us a call." The bus stop where the remains were found isn't far from the popular Wildwood Shopping Center. Three churches and a child care center are also nearby.